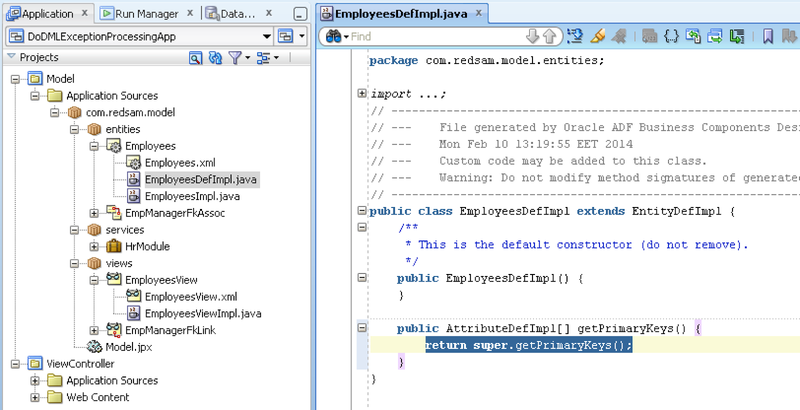 Here we come again - new minor update for Red Samurai Performance Audit Tool is prepared in our labs. 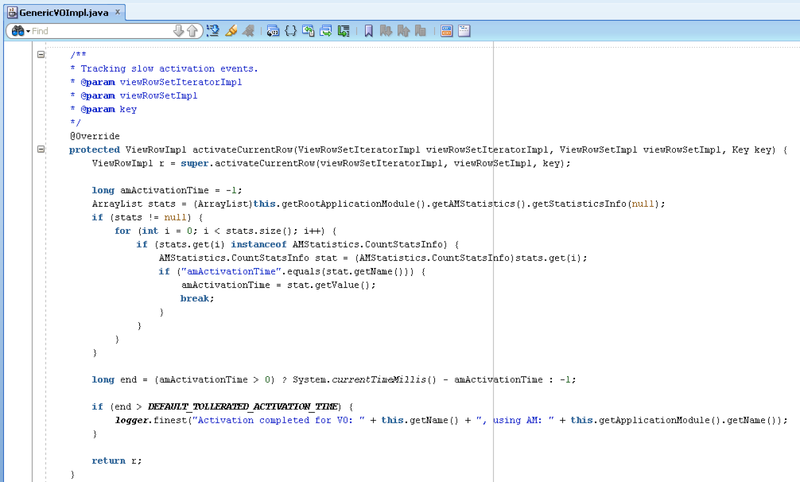 Update 2.8 is focused on more accurate ADF BC activation time tracking. 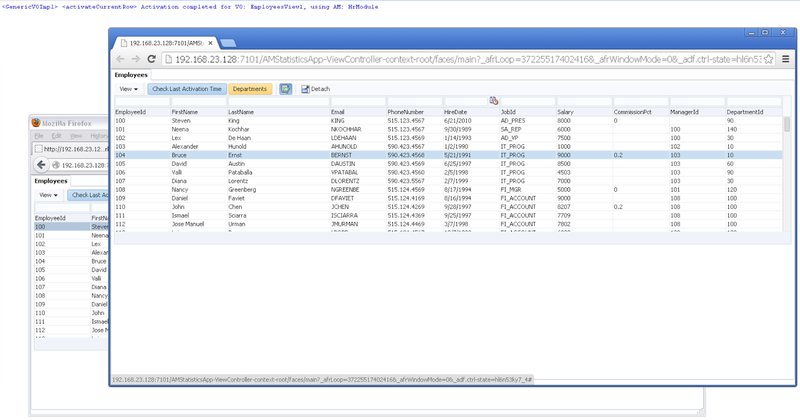 As you may already know, from my previous blog post - ADF BC Performance - View Object Instance Lazy Activation, ADF BC may apply deferred activation for VO instance. 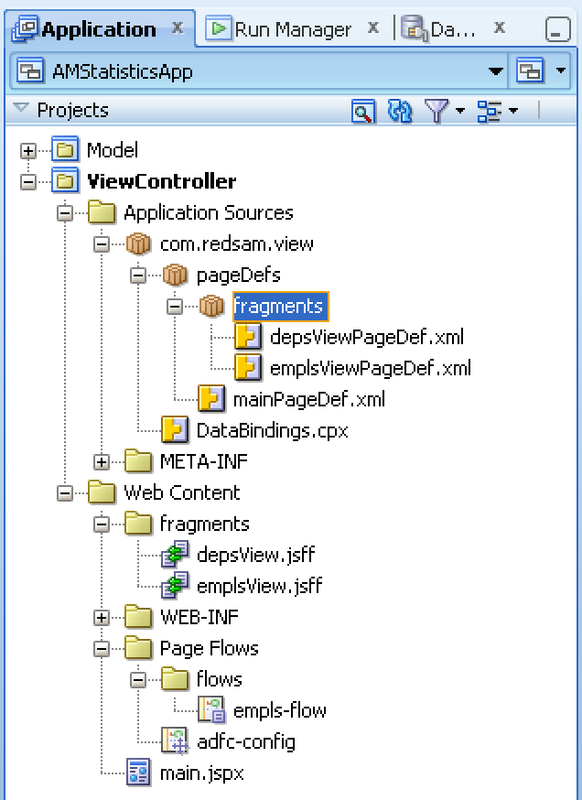 If instance is not used in the current Page Definition, this instance will be activated later, when user opens a page or fragment with such VO instance. For more technical details and sample application, please read my blog post mentioned above. We are keeping this behaviour in mind, when logging slow activations, this allows to understand real impact of slow activations and display it in the audit reports. It is much easier now to analyse and drill down into group of slow activations. We have planned several new exciting updates in the future. Read here about features included in previous update - Update for Red Samurai Performance Audit Tool - v 2.4. 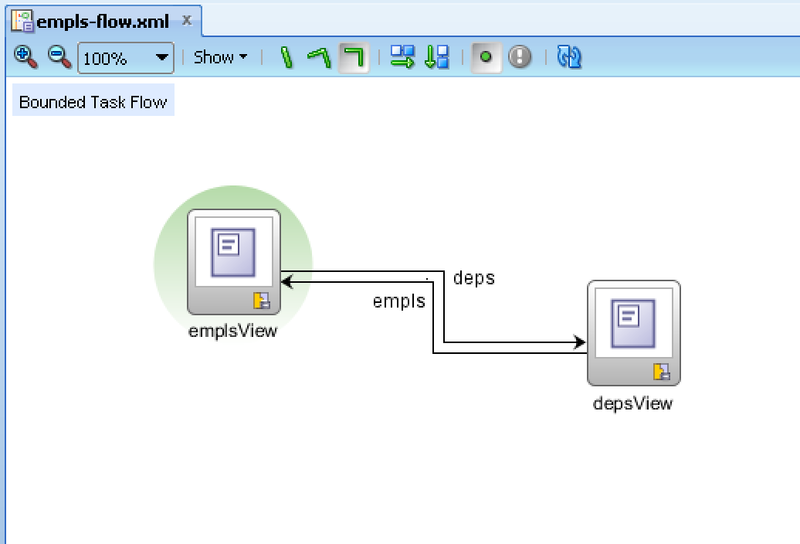 ADF BC is a great framework to manage data, but one thing it does really smart - ADF BC View Object instance lazy activation. You must know by now - passivation/activation events in ADF BC are relatively expensive in terms of performance. 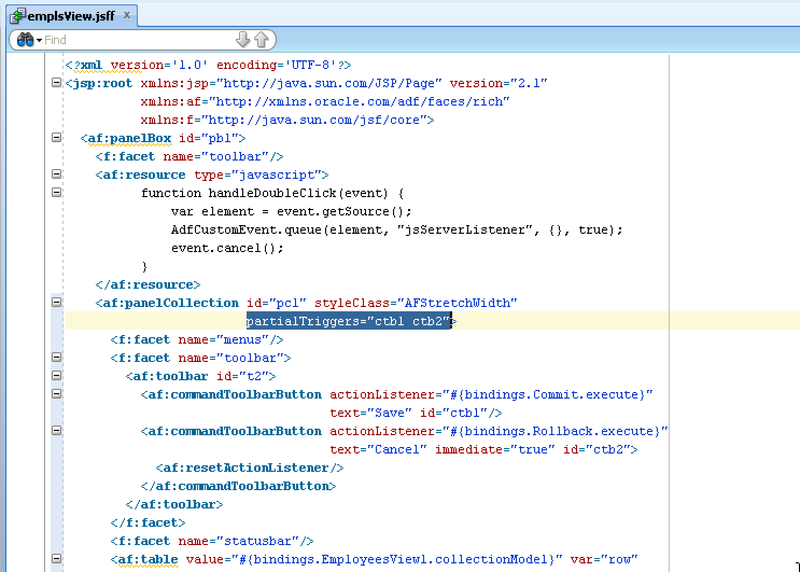 Especially expensive is activation event, as during this event View Object instance is re-constructed and data is re-fetched. 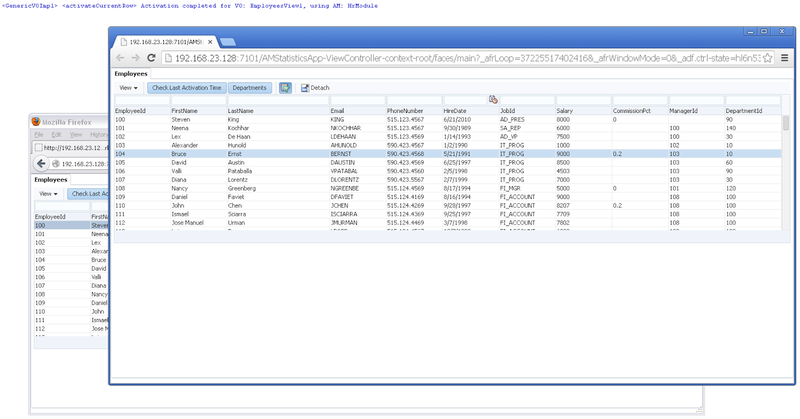 However, it is not as bad as it sounds - it doesn't activate all View Object instances from Application Module together. 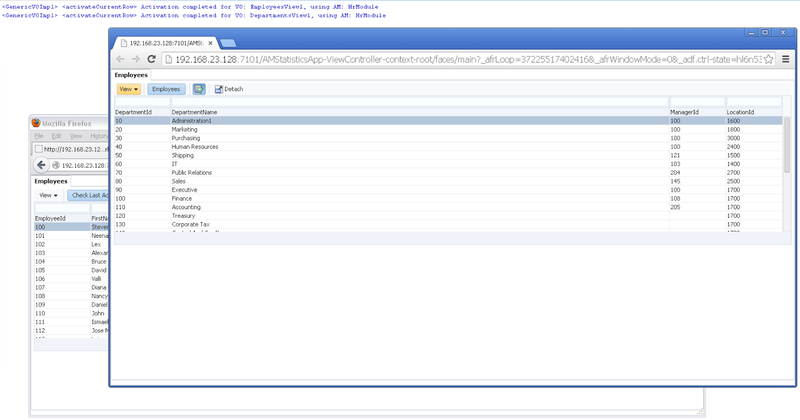 Only View Object instances referenced from current Page Definition are activated. This means, if user was working with 10 screens, before passivation event happened - during activation event, only View Object instances from current screen will be activated. 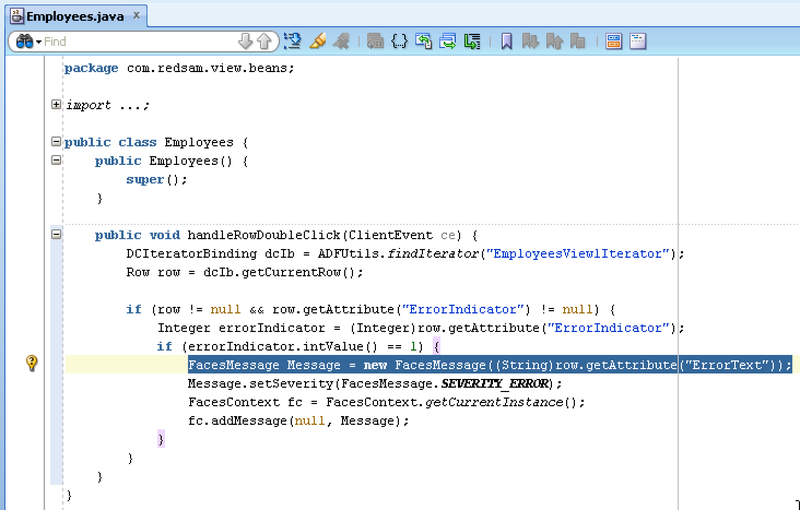 View Object instances from other screens will be activated, when actual screen will be accessed. Good news - you don't need to tune anything for this, this is how it works by default. 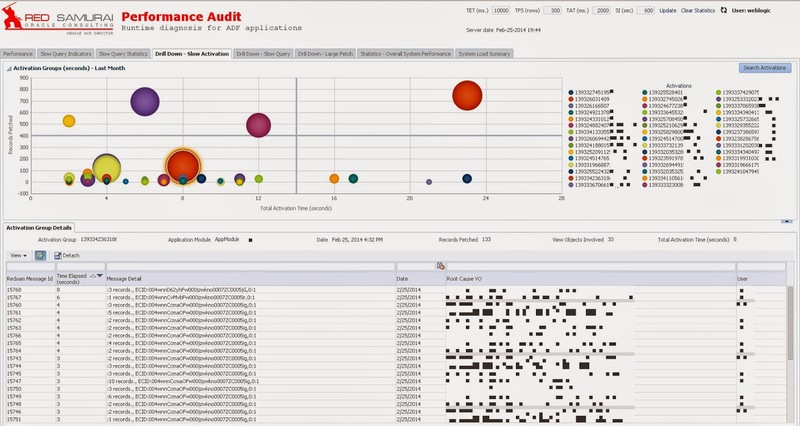 We track ADF BC performance with Red Samurai Performance Audit Tool - Update for Red Samurai Performance Audit Tool - v 2.4. 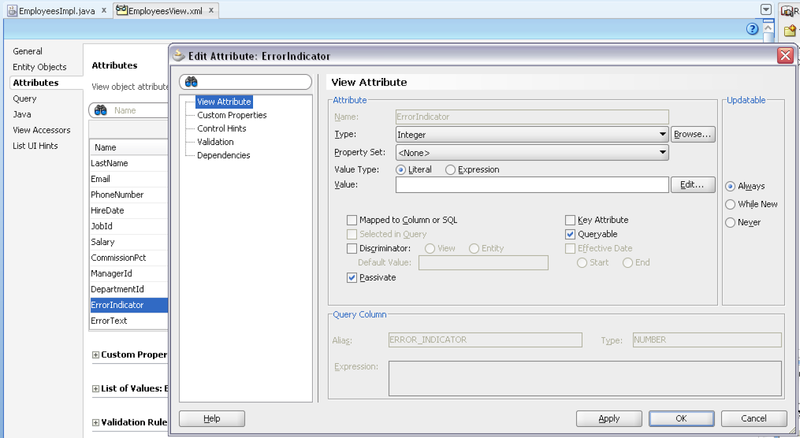 Slow activations are recorded as well, this allows to measure activation event impact to your ADF application performance. 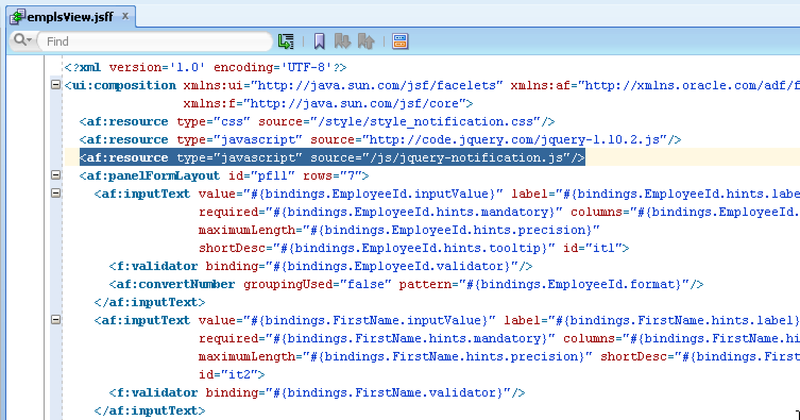 If you would like to use JQuery in ADF and looking for some simple example, this post if for you. 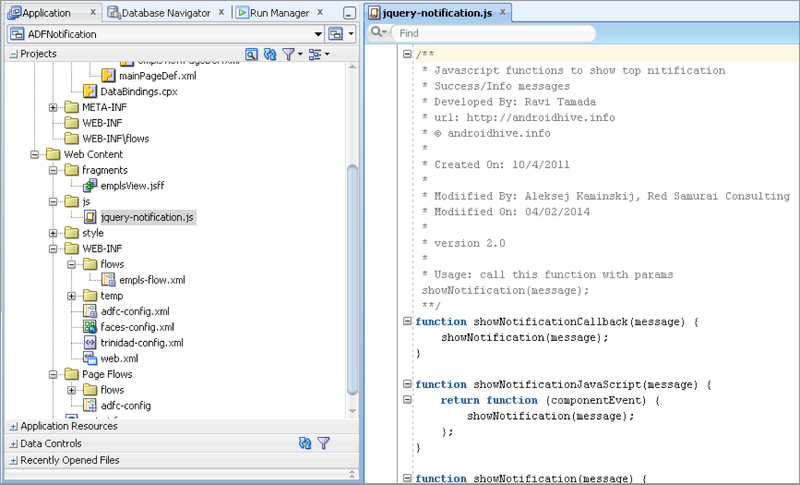 I'm sharing use case of JQuery notification message, displayed after successful commit operation is completed in ADF. 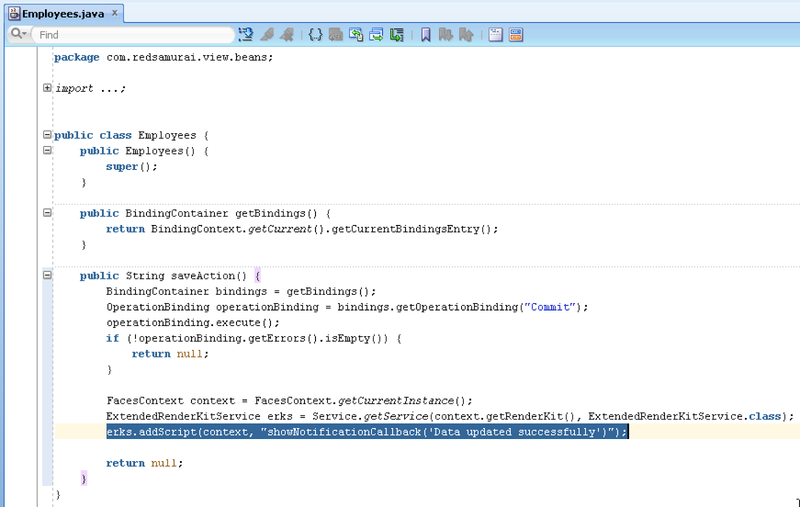 Once commit is completed, notification message is displayed for 2 seconds and later it disappears. 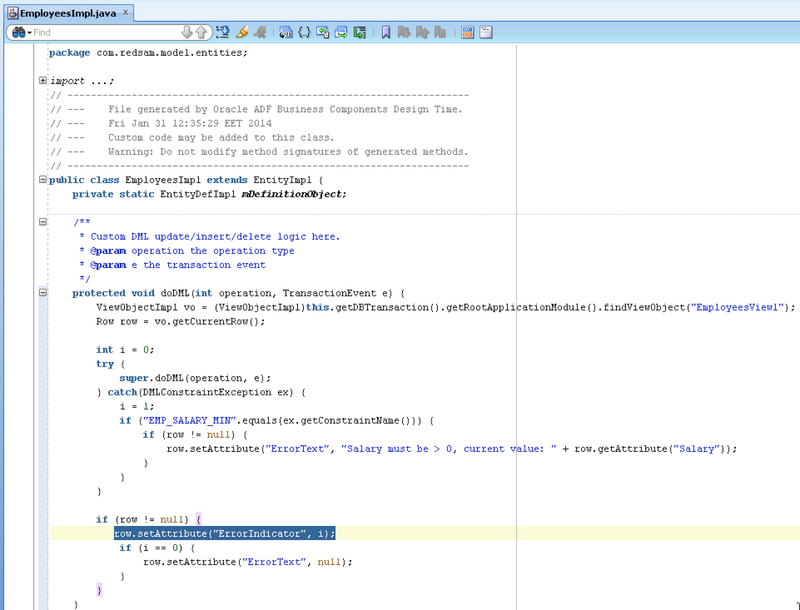 I hope this simple example, would help to create even nicer UI's for CRUD applications, implemented with ADF. 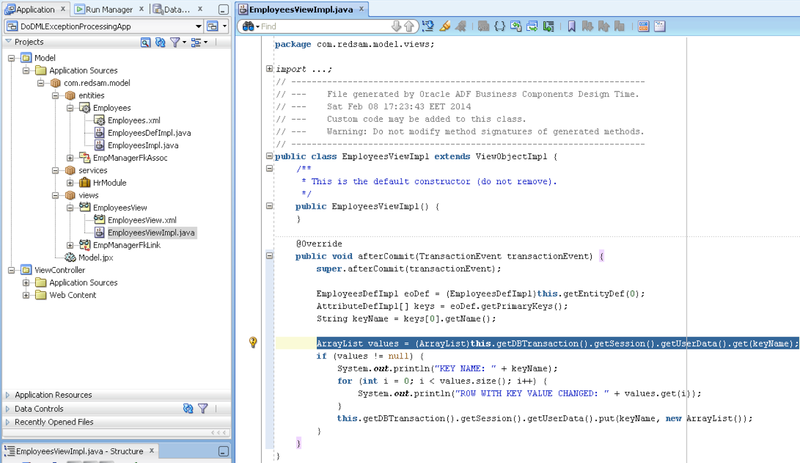 There is one not very visible, but quite powerful property available for ADF BC Entity Object attribute. This property is called - Changed Indicator. 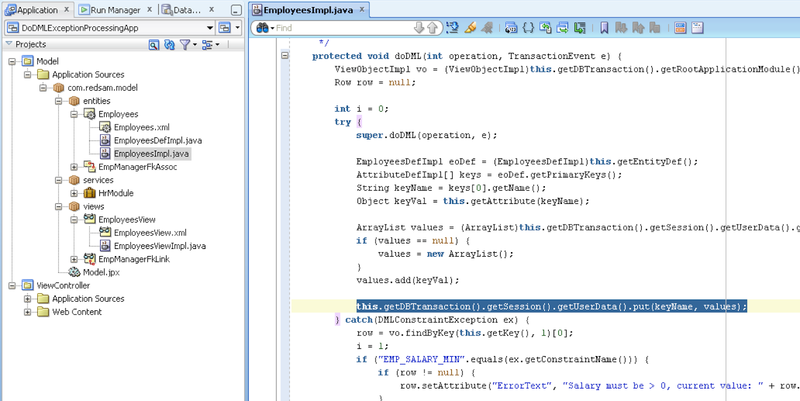 By default, during commit operation, ADF scans each changed attribute from the current row and compares value in the DB. 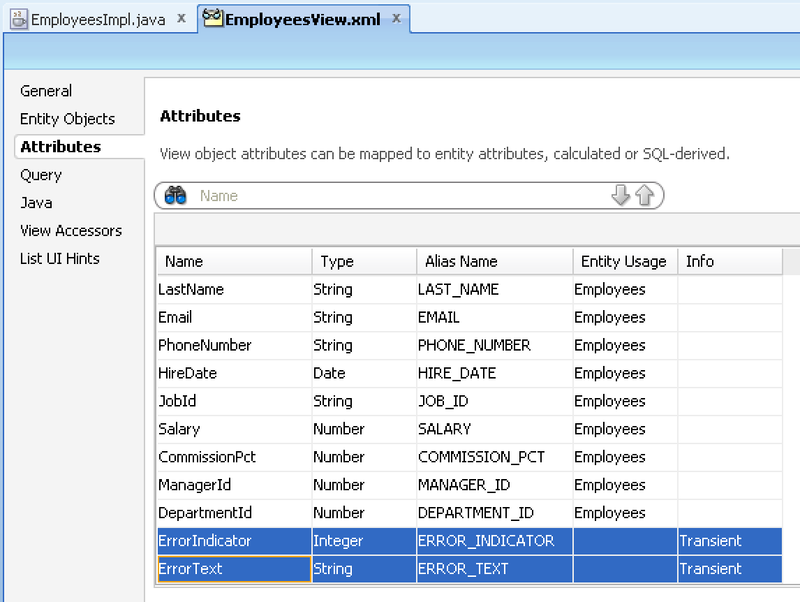 If it locates changed values in DB, reports error about another user changes in the same row. While this is expected functionality, there are use case when we want to allow commit, even data was changed already by someone else. For example, in more complex systems, data is updated by PL/SQL procedures, we don't want to inform user with error about this. 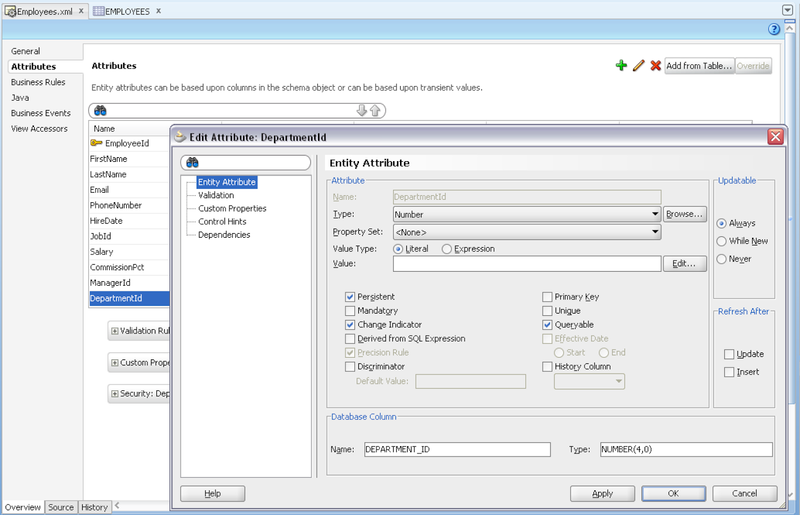 There is a way to override lock method in EO implementation class, catch lock error and raise lock again. This works, but there is different way - to use Change Indicator. 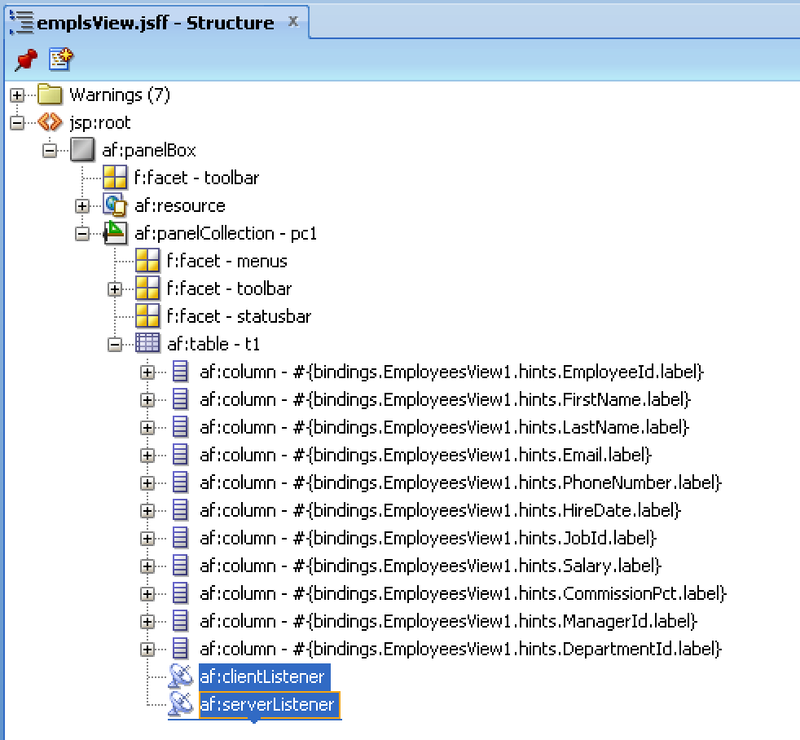 This property defines specific attribute to be responsible for row data changes tracking, instead of checking every attribute. Only if Change Indicator attribute value will be changed in DB, then current row changes will be prevented and user will be informed about someone else changes in the same row. 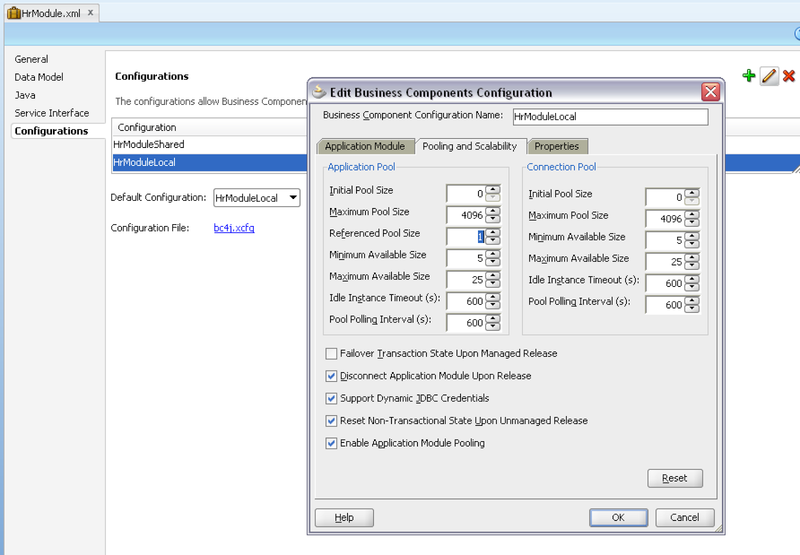 My previous post - Different Approach for DB Constraint Error Handling in ADF, about handling DB constraint errors is using Change Indicator defined for Primary Key. In this way, I'm completely ignoring changes by other users and allowing to commit data no matter if it was changed by someone else.